A years worth of teaching materials for five to twelve year olds. Should be useful for Sunday schools, schools and camps, and includes a step-by-step curriculum guide, games, stories, and bible lessons. 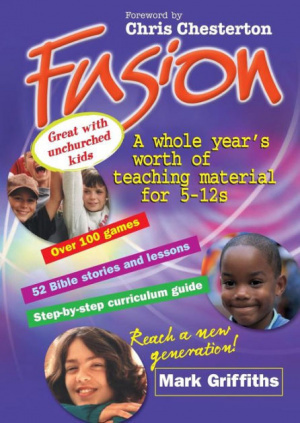 Fusion by Mark Griffiths was published by Lion Hudson in January 2001 and is our 6829th best seller. The ISBN for Fusion is 9781854245267. Be the first to review Fusion! Got a question? No problem! Just click here to ask us about Fusion.